We are a leading Manufacturer of jute wine bottle bag and jute wine bag from Kolkata, India. Being a customer focused organization, we are engaged in offering a wide range of Decorative Single Bottle Jute Wine Bag to our customers. The products we offer are highly efficient and durable. Presenting special looking Jute promotional wine bags that are available in a variety of eye catching color combination's. These Jute promotional wine bags serve as a matchless gift for wine connoisseur near and dear ones. 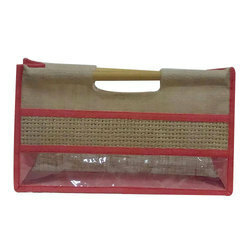 We are one of the leading manufacturer of Red Rope Single Bottle Jute Wine Bag. 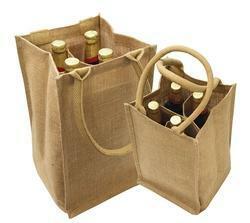 We are engaged in offering a wide assortment of premium quality Jute Wine Bottle Bag. The high grade Jute Wine Bottle Bag is widely appreciated in the markets for its optimum quality, durability and efficiency. The entire range of products undergoes strict quality tests.